Acne, though many people brush it off as something for teenagers, can have serious mental effects on those who suffer which continue in later life. Even after we have controlled our active acne the scars can be both physical and psychological. In this post we’ll discuss how to remove acne scars so you know what options are available to you if you want to treat acne scarring. For those who suffer from acne the relief of finally controlling your own face is unreal! However, after spending years looking at our the flaws and imperfections in the mirror it can hard to be see the good once acne has gone. One of the main reasons for this is due to acne scarring – even when the active acne passes the scars can remain. After we have cured acne it is likely for many of us to have acne scars. These scars can be from from picking at our spots or leaving them untreated or even just using the wrong products! However just like Acne this is not something we have to live with because acne scarring can be treated! Medical Micro-Needling though it sounds scary is a very simple treatment that can work on a huge variety of skin concerns and is great for acne scarring! By rolling tiny needles over the surface of the skin we damage it in a controlled way which then encourages the skin to repair itself! This means damaging areas such as acne scars will kick our bodies natural repair mechanism into gear and after a few treatments (depending on the scar) will remove the scar! Simples! 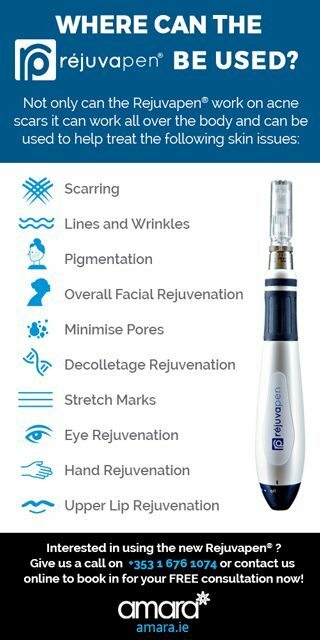 The Rejuvapen™ is one of the newest and most high tech needling devices available! Unlike other micro needles the Rejuvapen™ lets you target the specific areas that need to be treated rather than being forced to treat the surrounding areas. For example you can focus solely on acne scars on the face instead of covering the entire face if you wished. The Rejuvapen™ also allows the needle depth to be changed during one treatment! So we can go deeper on areas that need it like acne scars and lighter on areas such as the under eye. By going deeper on the areas needed we will see results faster! How Is The Rejuvapen™ Treatment Done? Like any Micro Needling device we start with numbing cream so the treatment is as comfortable as possible. A RP Complex™ (Peptide Cream) is then added to the area and when we go over the skin with the Rejuvapen™ the active ingredients are absorbed deep into the skin aiding to the repair! After this the area is then treated with the Rejuvapen™, the 9 precisely spaced needles create invisible perforations into the skin, kicking our skin’s natural defence mechanism into action! More cream is then added to the area after the needling to encourage the healing and help calm down the skin. Where can the Rejuvapen™ be used? This depends entirely on what area is being treated! For rejuvenation many people may notice a difference with just one treatment and have an overall healthier glow. However for treating scarring a minimum of 5 session is recommended to fade the scar. Your Skin Health Therapist will go over this with you after a consultation. Is there any downtime with the Rejuvapen™? As with all micro-needling treatments you will likely experience redness on the day of the treatment and some pinkness the day after. The redness tends to go down in about 48 hours and you are free to wear makeup the day after. On the day of your treatment you will likely feel heat on your skin almost as if you have been out in the sun all day. It is essential to follow the Rejuvapen™ after care products to ensure that your skin heals in the correct way. 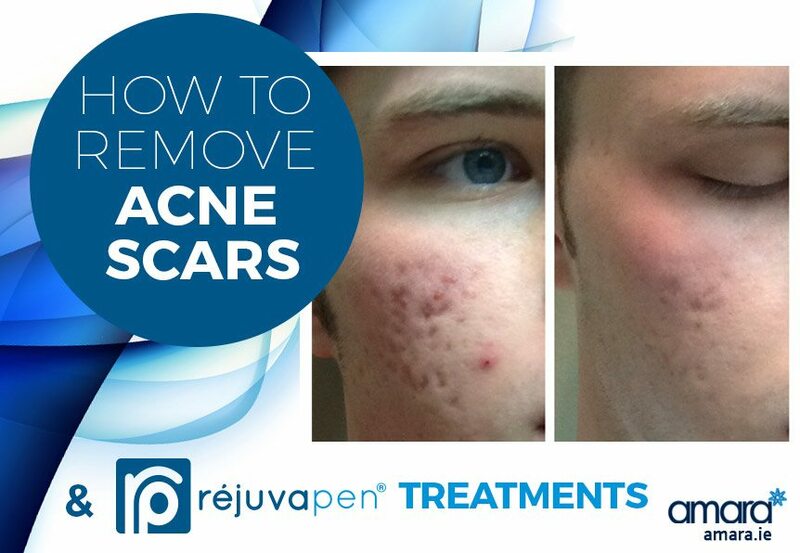 Interested in using the new Rejuvapen™ to treat your acne scarring or for any of the other skin issues it can solve? If so then give us a call on +353 1 676 1074 or contact us online to book in for your FREE consultation now!